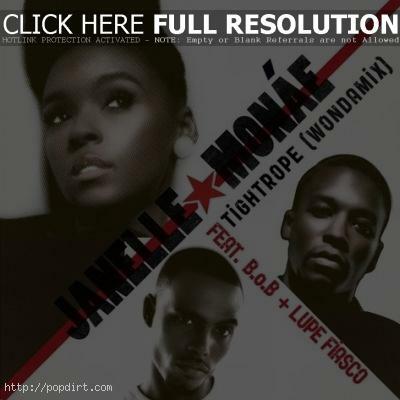 Janelle Monae is out with the music video for the ‘Tightrope’ (Wondamix) release, featuring B.o.B and Lupe Fiasco. ‘Tightrope’ is featured on the 24-year-old singer’s debut album ‘The ArchAndroid’, in stores now on Bad Boy/Atlantic Records. Watch it via YouTube below.